If you’re like most people with an idea and not much background in entrepreneurial business, you’re looking for help getting into the game, and you’re probably finding there is so much help available that you don’t know where to even start. If you doubt, look in the Resources section in this website; it’s a linking tool to resources one or more people we know have found useful. And then go look at some of those sites… and all the links they have to other sites. And all those sites, and blogs, and posts and resources, and so on. There is so much material on entrepreneurship, so many opinions, so many ideas, that you could never begin to digest it all. You shouldn’t have time to even read it all. 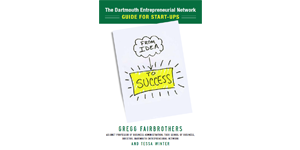 Is there that much to know about turning a good idea into a successful enterprise? And is it as easy as many of these sites say; or as hard as others say? The answer, like most things in life, is probably a little of both. Making something out of nothing is never easy. And meeting your own goals and aspirations for yourself is even harder. Not to mention creating value rather than just transferring money from other bank accounts to yours. There are so many questions, and for each there is an almost infinite number of possible answers. The issues for you are finite though: what are the important questions and how do you figure out answers that work for you? This Forum wants to help you evaluate your ideas and turn them into value—value for you, and value for the people you’re trying to serve. This means focusing on questions that are important rather than all the questions, and helping you figure out what resources might help you get things done. The questions come from people who want to know the answers. The answers come from the experience of people who have gone before, successes and failures. We don’t know what experts in entrepreneurship look like, so we don’t know if any of us are experts. This is only what has worked for us. If you have questions, send them and we’ll take a shot at addressing them. What you’ll find if you stay with entrepreneurship very long, though, is that the path to progress and success with your ideas isn’t so much about answers as it is good questions and good execution—figuring out what you need to know, and trying things until you find the answers that work for you. There is no better teacher than experience, and no better guide to good experience than good questions. Still, there’s no glory in having to learn the hard way things other people have already learned and are willing to share with you. Some of that is in this section.